Venue: New Life Christian Center, an Assembly of God Church in Novato, California--March 4-5, 2011. As March 4 grew near, I began considering not attending after all. I anticipated running into people I knew, and the likelihood of unpleasant encounters made me feel uneasy. This was to be a gathering of Christians who believe that God has sent another spiritual awakening to the Church, but I do not share that view, so clashes would be inevitable. I consider these people to be brothers and sisters in Christ, and for that reason a warning must be sounded. As Bart McCurdy, who also monitors the so-called awakening, especially its expression at the Bethel Church in Redding, said, "If you love them, warn them." It was not my intention to cause trouble or do anything untoward or discourteous. I wanted to see, learn, and experience what was being proclaimed as the last great move of God, heralded by special revelation directly from Him to usher in the Second Coming of Christ. Yes, this is proclaimed as the last generation of the Church in the world, and a select few have been anointed to bring billions of people into the kingdom before it is too late. I must attend! For twelve-plus years I have been following the leading up to what has now come to Marin County: Mike Bickle and IHOP, along with the Kansas City Prophets; the laughing revival and the Toronto Blessing (among other designations) at the Toronto Vineyard Church in Canada where John Arnott was; Bethel Church in Redding, California, pastored by Bill Johnson; and then Morningstar ministry in North Carolina, led by Rick Joyner. A number of times I had been visiting old and close friends in Redding, so stopped at Bethel where they attended and had heard Rodney Howard Brown and Randy Clark, as well as Bill Johnson. So now two of the stars of the "awakening" were coming to a theater near me. "Theater"--is this a proper word to use? Perhaps. Let the reader be the judge as I attempt to describe what I saw and experienced. At a little after the 7pm start time, the band moved onto the stage. I say stage, since there was nothing physically visible to indicate this as a place of worship. For a little over an hour the band played only two songs, so loud that my wife had to put wads of tissue in her ears, and the music so repetitious, so empty of content, so boring really, that it reminded me of the music at the Hare Krishna Kirtans during the hippie years in the Haight-Ashbury. At one point I whispered to her that the words would have fit the worship of any number of gods or goddesses. Overly critical? Maybe, or maybe not. After the band, Wesley Campbell came onto the platform to introduce his wife, Stacey Campbell, the headliner speaker for the evening. The audience was primed to expect something supernatural. For a moment let me provide a context and rationale for the conference. Through revelations given to specially anointed prophets and apostles, God is supposedly doing something so unusual, so off the charts, so new that even Scripture cannot be used to evaluate the exciting new anointing. Even the so-called five-fold ministry spoken of by Paul in Ephesians 4 has been restored to the Church, and Campbell and Baker are proclaimed (by someone) to be prophets. The awakening's anointed ones are on the cutting edge of what God is doing in the last days. God is speaking to them directly, with Baker apparently having God in person revealing great things to her. Stacey Campbell has stated that fellow prophets have estimated the Second Coming to take place in 2014, 2020, or maybe 2030, depending on which prophet you are invested in. This is big stuff, and the authentication for it all are signs and wonders, emphasis on healings. However, there have been reports of gold fillings in teeth, gold dust appearing on skin, feathers floating down from ceilings (my good friend has one of these feathers, which looks like those used to stuff some pillows), and other proofs of the supernatural presence of God and/or angels. Such signs and wonders are likely of a supernatural origin, but I seriously question whether these are from God. Let me illustrate this. During the 1970s I was senior pastor of a church that came out of the Jesus People Movement centered in Marin County, which is just across the Golden Gate Bridge from San Francisco. Jim Jones, pastor of The People's Temple in the City, sent a school bus to the parking lot of our church in San Rafael on Sunday mornings, hoping to pack a few more into their services. Some of our folks did take the offer and traveled to the meetings, which we heard were something special and not to be missed. This went on for some time before I learned of it, and when I did hear of it, I told the bus driver the next time he pulled up to never come back. Sadly, I was a bit late on this, and after the mass suicide in Jones' encampment in Guiana, there followed funeral services I had to arrange for some whose bodies were shipped back. On two different Sundays I visited The People's Temple, for much the same reason I attended the Awakening Conference to hear Campbell and Baker--I had to see for myself. To summarize, and not to exaggerate in any way, here are the highlights of what I experienced at that time. One, oil dripped onto open Bibles. Two, the "sweet savor of the Lord" was smelled. Three, the brush of angel's wings was felt. Four, reaching a hand into the air, an angel would grasp it as though shaking hands with you. All these I experienced both times, as did those who accompanied me. And once a young black girl from Oakland, just across the Bay, stood in front of the packed house, and the stigmata appeared--blood oozing from the hands, the ankles, and side of the girl--those places where Jesus was wounded. Signs and wonders? Yes. From God? No. But how then? As charismatics/pentecostals we were ill-prepared for what we saw. We were taught to believe that anything supernatural was from God. Not that we did not believe in the devil--oh no, we were aware of all that--but we were Christians and therefore were not to be worried. 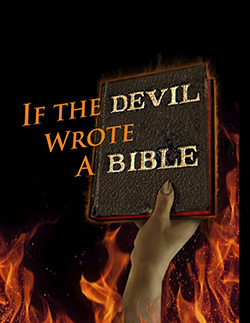 For some reason we were not aware of passages like Matthew 24:24, 2 Thessalonians 2:8-9, Revelation 13:14 and 16:14—ones that point out that Satan performs signs and wonders also. And we were not acquainted with the passage where Paul taught that Satan is able to transform himself into an angel of light (see 2 Corinthians 11:13-15). And we, at least during the Jesus People Movement, were living in an awakening, or so we came to find out after it was all over. America has experienced three, and I think four awakenings.2 With the exception of the third awakening, these were accompanied by signs and wonders. Observers marked the Godly nature of them with many conversions--through preaching alone and no altar calls, no sinner's prayer, nor other mechanisms to secure a decision; and there were healings, even the multiplication of food. A common characteristic of an awakening is that they begin and they end. Those engaged in these moves of the Spirit do not generally have an awareness of anything unusual--it is discovered, and the discovery occurs after the outpouring has passed.3 This is a significant point in regard to what is now being called an awakening--some assert that this awakening is a continuation of the Jesus People Movement, or if not that, then a new and completely separate awakening that saw its origin in the Toronto Blessing at the Toronto Vineyard Church in Canada. After some banter and generalized talking, Stacey began to defend the awakening against nay-sayers. She attacked, ridiculed may be a better description, those who hold to a Reformed theology, or to cessationism, or to replacement theology, which would seem to place her and her fellow awakeners into the dispensational camp. It was blatant faction-making, a clear "we versus they" mentality: we--move in the supernatural; they--resist it. She rejected her Plymouth Brethren and Baptist roots as narrow and stultifying. It was like David versus Michel, when Michel was offended at the sight of David’s ecstatic celebrating (see 2 Samuel 6). Those who are like David, a man after God's own heart, care nothing for anything that would restrain. Inhibitions are to be ignored--this was a common theme of the conference. Campbell emphasized that what they were doing was big, while everyone else in their small congregations and solemn services were wimpy and to be dismissed. At this the crowd showed some life and applauded, waving their arms about. There were not many of these exuberant moments. Then began the prophecies. I suppose Stacey is considered a prophet as well as a healer. The general content of her prophecies over individuals was that they would be greatly used in the kingdom work; they would have large, national and international healing ministries. As previously stated, she reported that various prophets have determined that the present generation is the last generation, and dates of 2014, 2020, and 2030, among others, have been given for the Second Coming. In addition, those in the last great awakening will be used to win billions of people. Stacey liked to name-drop and put herself at the forefront of what God was doing in the last days. The leaders of the awakening are constantly flying all over the world, attended by large crowds with healings, healings, healings, and multitudes being saved. Stacey's husband Wesley joined her when she began to give individual prophecies. As is her trademark, she shook her head violently from side to side while she spoke or rather shouted the words of prophecy and healing into a microphone. (Her words seemed to move rapidly from one topic to another, so it was not always easy to follow all that was being said.) Several times Wesley shouted into his microphone, "Wow!" in reaction to a prophecy about how someone would have a world impacting ministry. The end of Stacey's presentation was essentially a long boast of the work of Mike Bickle and IHOP, the International House of Prayer. "Boast" is a word I am not using carelessly here. Stacey apparently is headquartered with IHOP. Stacey came on Friday night, but the big anticipation being built was for Saturday night when Heidi Baker would be on stage--a prophetess who speaks directly and frequently with God, conversations which take place in heaven. Wow. That Saturday night, and like any big rock concert, the whole thing was late in starting, and the buzz increased as the minutes passed the seven o'clock start time. A music leader named Sean, whose below-the-shoulder-length curly hair gave the impression he was trying to look like a rock star, led the band. For forty-five minutes he played guitar and sang a song he had written, one song over and over and over--words projected on a screen via power point, with the band accompanying. The song was barely passable in my estimation, and less than half the crowd paid any attention to it. During the "worship" there were dozens of little conversations going on in the pews and many people wandering about aimlessly. The only enthusiasm was when he led another song with the lyrics “Splish-splash, I’m takin’ a bath in the glory” and “I’m swimming, swimming in your love,” during which all were encouraged and eager to do a swimming motion with their arms. Heidi Baker, an attractive blonde in her early fifties, then came on stage. A stage is what it was, as she appeared to be playing the house like a performance artist for the pentecostal circuit. She lay down or maybe crouched down and began alternately speaking in tongues interspersed with some sort of commentary on her mood and other things that I could not understand. Several times she yelled, "No spectating," apparently to get people to stop watching (gawking?) and start participating. She is engaged in a work in Africa with disadvantaged children, and some of her words may have been from a tribal language. “Shandababa or Shandabandai” was in every third clause or so, and either this is her favorite ecstatic utterance or it is some entity she calls on constantly. After twenty or so minutes of this, she stood up and launched into a long story of her life and her healings. To say it was all about her would be an understatement. 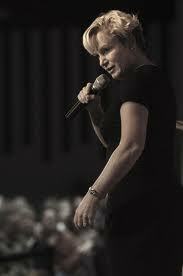 "Silly" is a word my wife used to describe Heidi Baker's presentation. It was essentially void of content. She had her fans, however, and they moved up close and sat on the floor in front of the platform to be nearer to her. It was a confused and puzzling presentation over all. For me, it was discouraging. It was plain to see that a large number of people, at least two-fifths of the audience, simply sat and listened without engaging in any way. About one-fifth were really into it, waving arms, speaking in tongues, and so on. Some displayed the most bizarre bodily movements, hacking the air as though arms were swords or axes, with twisted motions or uncontrolled body shaking and strange waving of the arms as though they were trying to waft the Spirit to them. So many simply sat with sad, depressed looks on their faces. Heidi claimed to be seeing or sensing that many diseases were being healed as she spoke. She said that God was doing brain surgery right then and there: things like dyslexia, multiple sclerosis, brain cancer, fibromyalgia, and other physical brain-centered conditions were mentioned, ones whose actual existence would be almost impossible to prove. She offered anecdotes about previous healings of these conditions, but she offered no proof of medical collaboration; some of the stories I had heard before, but with different details. Maybe she gets better results in Mozambique. There were no feathers, no gold dust, and not much celebration either, unless you call loud country/rock style music celebration. There were no healings announced, and no new revelations were made except to individuals. The name of Jesus was mentioned, some Bible verses were quoted, and the word "gospel" was spoken, but neither Campbell nor Baker preached anything close to the Gospel. An awakening of what and for what? An awakening--it was billed as an Awakening Conference--but awakening of what and for what? It seems to me the well is running dry. Getting up the enthusiasm is requiring more work, and it looks like a sort of desperation is setting in. The crowd must be satisfied, rewarded, and motivated with more, more, more. What will be next? What to do for an encore? Headliners are few and not very polished, and the old gimmicks are wearing thin. Having lived through the Jesus People Movement, having seen many healings (I was once healed myself and without even praying for it or being prayed for), having seen signs and wonders, both of the Spirit of God and of the devil, continuing to believe the gifts of the Holy Spirit are genuine and are still being given (so not a cessationist), and having studied many of the awakenings that have occurred in the Church, I must only conclude that what is here being called an awakening is not. It is a humanly engineered enterprise and will ultimately either come to some scandalous ending or will simply fade away. I am hoping for the latter. As Christians we do hope to see another awakening in our own time and place, when God pours out His Spirit and sweeps countless numbers into His kingdom. He is sovereign and will do it according to His own good pleasure. And when He does, it will be the real thing. 1 Seems they are expecting, maybe even hoping for opposition, which would also authenticate their being on the forefront of what God is doing with this last generation on the planet. 2 I consider the Jesus People Movement to meet the criteria, as set forth by church historians, of what would constitute an awakening. The first, from 1734-1742; the second, from 1798 to a. 1825; the third, 1857 to 1859; and the JPM, from 1967 to a. 1972. 3 Soon to be released by Earthen Vessel Publishing is America's Great Awakenings with a Focus on the Jesus People Movement by Kent Philpott. Join the Facebook group, Earthen Vessel Journal to receive notification of the availability of the book.